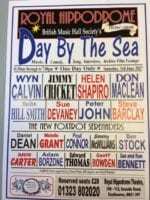 Jimmy Cricket appeared with a host of fellow entertainers in a show called Day By The Sea at the weekend. 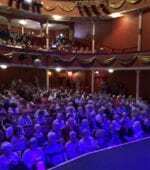 The famous Irish funnyman appeared at the one-day event of comedy, music and song at the Royal Hippodrome theatre in Eastbourne. 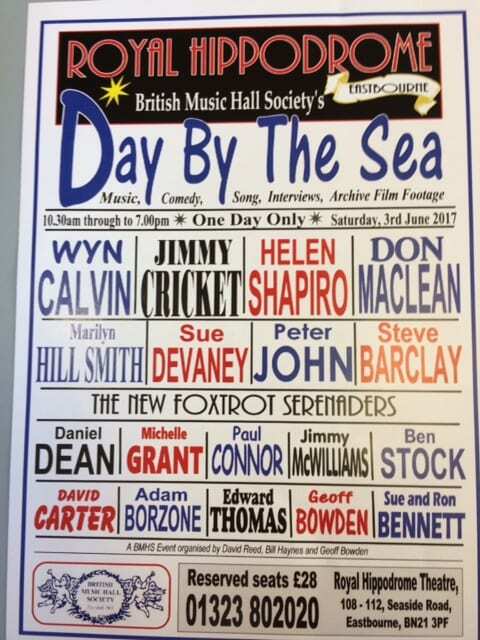 Also on the bill was Jimmy’s big pal Don Maclean, an English actor and comedian who appeared on the BBC television series Crackerjack with Michael Aspel, Peter Glaze and Jan Hunt in the 1970s. 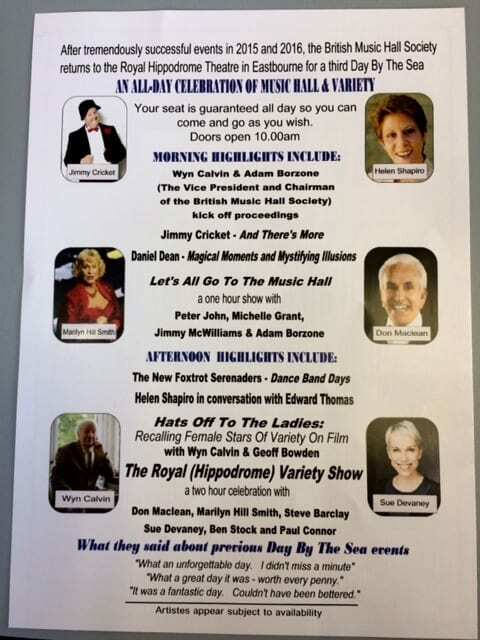 Sue Devaney, known for television roles in Coronation Street, Jonny Briggs, Casualty and Dinnerladies as well as being a regular stage performer, and English pop singer, jazz singer and actress Helen Shapiro were also among the entertainers. 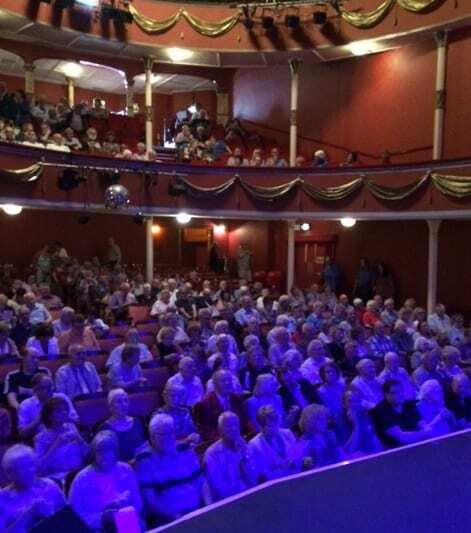 The event, which took place last Saturday, was organised by the British Music Hall Society. 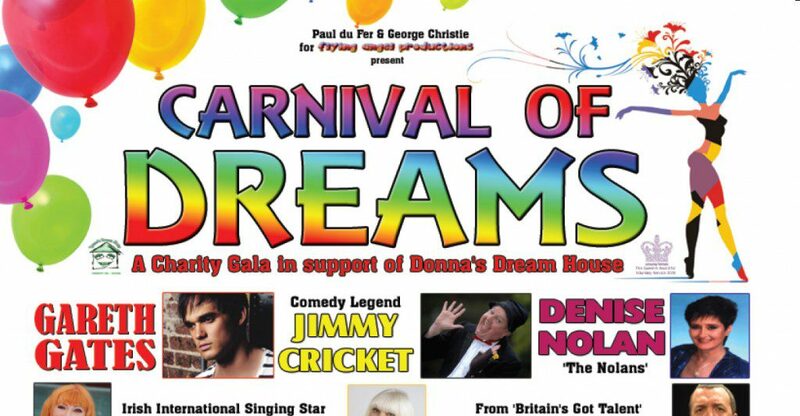 Jimmy Cricket is among the entertainers appearing in a charity gala in support of Donna’s Dream House at the Grand Theatre in Blackpool. Carnival of Dreams will also feature Gareth Gates, Denise Nolan, Irish international singing star Rose-Marie, JK as Robbie Williams, International comedy entertainer Kenny Cantor, Aimi MacDonald, Sue Devaney (BBC’s Dinnerladies), International female impersonator Ceri Dupree, Scott Wright (Coronation Street) and the cast of Blackpool’s rock and roller coaster musical Booze Birds & Blackpool Rock, Top UK & World Elvis impersonator Martin Fox, Jamie Pugh from Britain’s Got Talent, Comical singing ventriloquist Kieran Powell, Shani Cantor, Leo Jones Star of TV’s Airline, Scottish Champions Craig Paton on the accordion and Andy Kain on the fiddle, Fylde Scottish Country Dancers, Barry Haywood, Iain Matley, and Blackpool’s very own Funny Girls, Langley Dance Centre, Mary Whelan School of Irish Dancing, Blackpool Circus School and Greater Manchester Pipe Band. 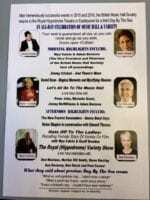 It takes place on Sunday, August 7 – full details in Jimmy’s events calendar and view the full gala poster here.